Welcome to my dental blog. Which I’ve had, but welcome to me actually writing it. Who am I? Dr. Owen Mandanas. I am a wife, a mother of two cool hockey playing young boys, a Filipina dentista who grew up in the Deep South (South Cackalackey), and a struggling vegan wannabe. All in that order of importance… maybe. First and foremost I love my family. Then my career as a dentist. And then sometimes I find time for myself. As this is my dental blog, I will start this first overdue entry with the fact that I truly love being a dentist and hopefully I will write things in this blog that can help you with whatever dental problems or concerns you may have. In 2000 I graduated from Northwestern University Dental School in Chicago. I spent the first 8 ½ years of my career in Nome, Alaska. This was an incredible time in my life and I loved everything about it all. What a huge change from 10 years of living in the Windy City! 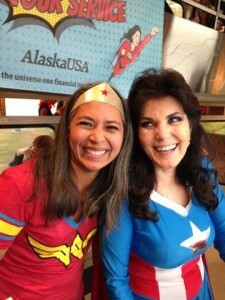 Now I am in Anchorage, AK raising a family and nurturing a growing dental practice. It’s an amazing ride and hope that my dental insights can be of help to you!